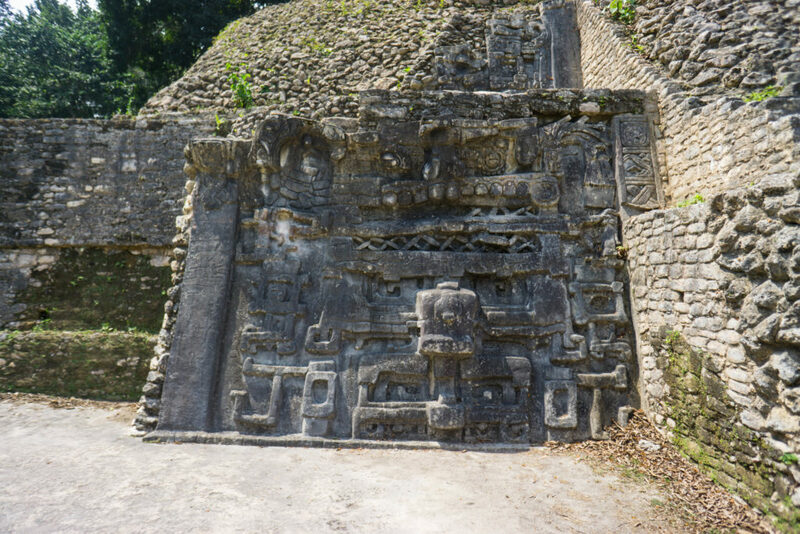 Tikal and Chichen Itza get all the glory when it comes to ruins. Guatemala and Mexico are just fame hogs like that. 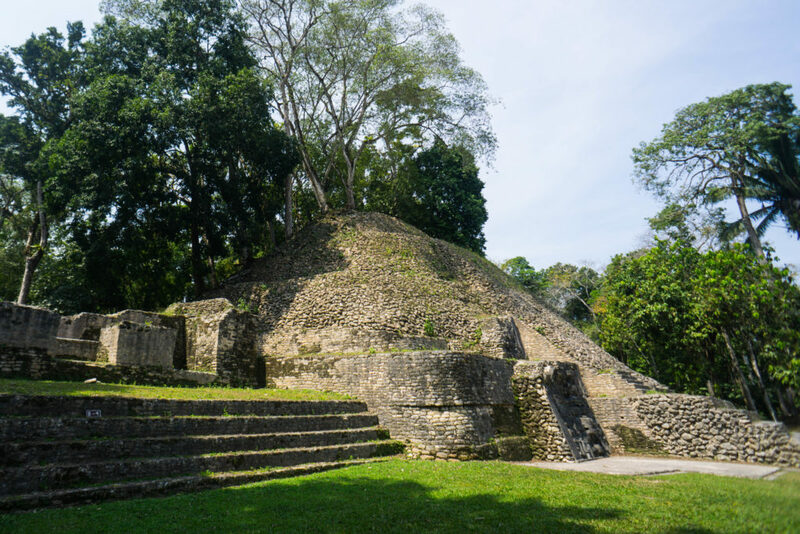 But deep in Belize’s jungle, about two hours out from the nearest large town, you’ll find pyramids just as impressive — and far less crowded. Because of the off the beaten path location of the ruins, you can’t get to Caracol by public transport. You’ll have to take a tour or rent a car — and since at least an hour is basically off-roading, unless you have a rugged car or balls of steel, you’ll probably want to opt for the tour. After loving my ATM cave tour with MayaWalk, I decided to go with their company again to see the ruins of Caracol. And good thing too, as it ended up being yet another amazing day in Belize, a country that’s quickly becoming one of my favorites. 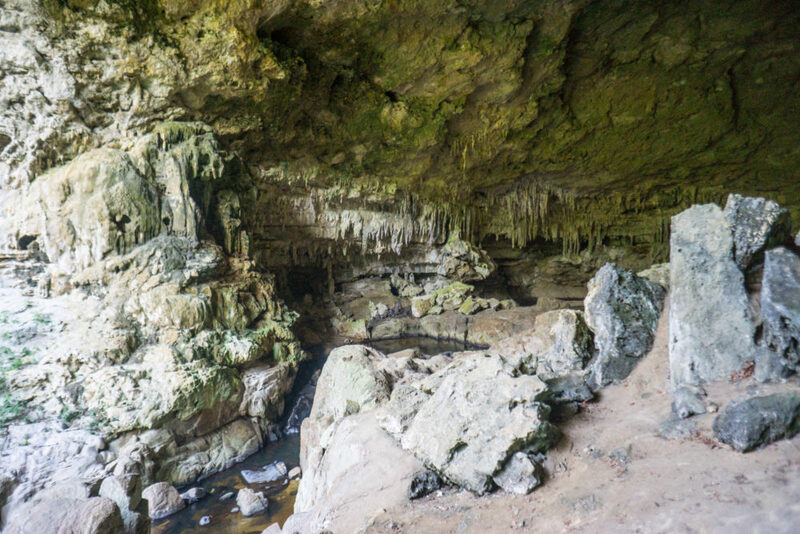 We started the day with yet another cave — although I must admit that after ATM, no cave will ever come close. It was pretty cool though – just look at how massive it is! 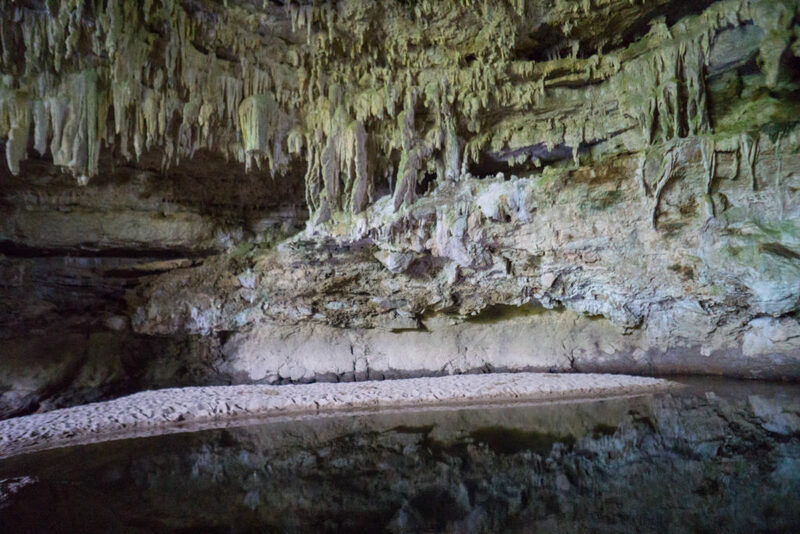 The coolest thing about this cave, though, is that there is an actual beach inside the cave – yes, with sand and everything! How many countries can say that even their caves have beaches? 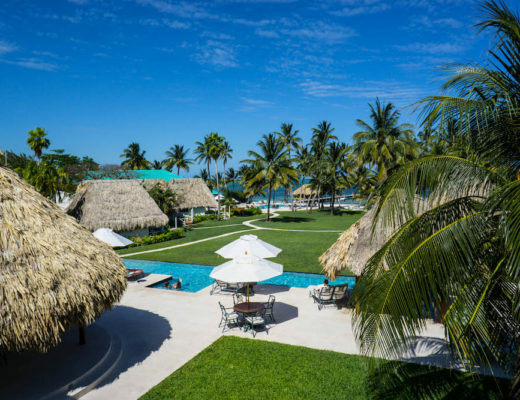 Belize, you freaking stunner. 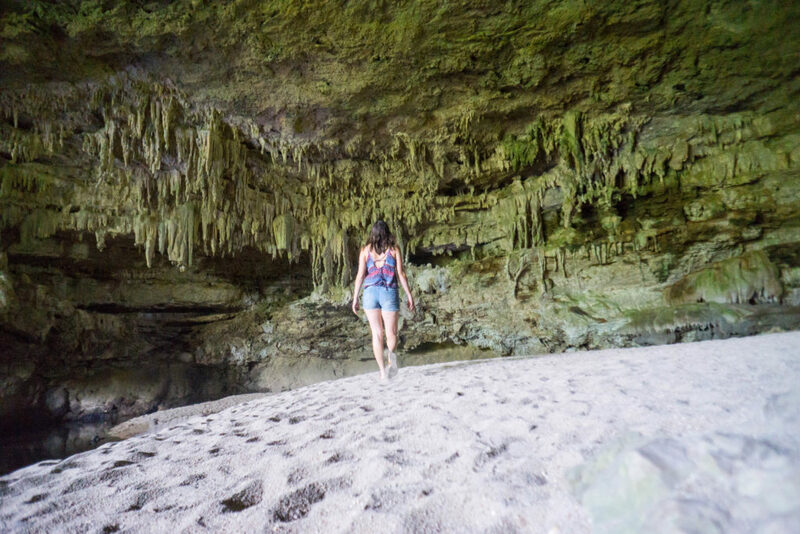 After frolicking on this cave-beach, I allowed myself to be corralled back into the van to see the ruins. After all – they were what I came to see. Another hour of bumpy roads later, we arrived at the site of the Caracol ruins, one of the coolest things to see in Belize. Caracol is the highest and largest Mayan structure in all of Belize, and its position on the border of modern-day Guatemala means that from the top you can see two countries at once, something that this geography nerd always loves (my record is 7 countries at once from a mountaintop in Montenegro!). Another amazing thing? Just look at how empty this place is. This completely unedited photo literally has one other human being in it. One. Just try getting that lucky at Tikal or Chichen Itza… you’ll have to do some early morning trespassing, a lot of waiting, or some Photoshop wizardry to get a picture this clear of people. 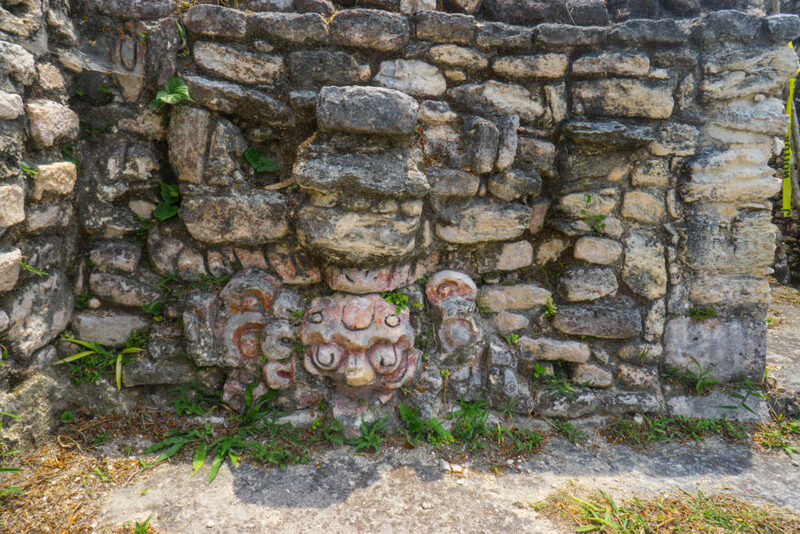 The ruins of Caracol span about 15 square miles, though they’ve definitely faded from its glory days – both literally and figuratively, as the stone structures were once painted vibrant colors. In fact, the main pyramid used to be painted red. Just imagine a red pyramid matched up against a lush green backdrop — now that would have been a sight to take in. This wasn’t too bad, either. 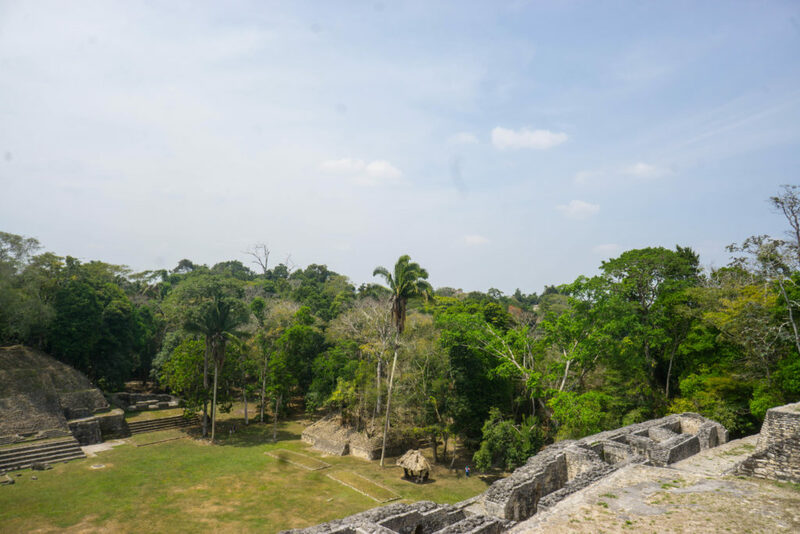 The site of Caracol was first settled perhaps even 3,000 years ago, though the structures are mostly from the period between 600 and 900 AD. At its peak, over 120,000 Mayans lived in this city. Despite its smaller size than nearby Tikal (in modern day Guatemala), the Mayans who occupied Caracol bested them in war and marked the occasion with a celebratory obelisk which, thanks to colonialism, is now housed at the British Museum. Don’t worry, though, they were kind enough to leave behind a plaster replica! The sun was just starting to beat down with its typical pre-noon intensity, the kind that wouldn’t let up until well after 4 that afternoon. 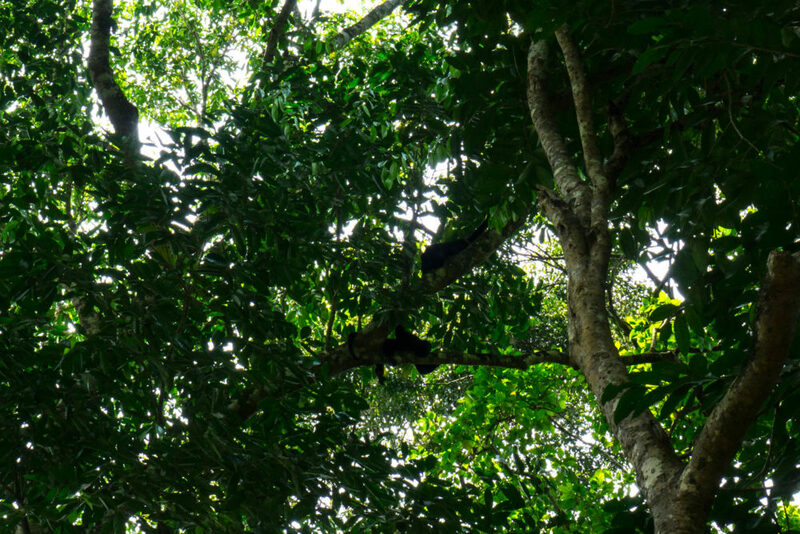 We walked through a bit of shade, our guide pointing out a trio howler monkeys napping in the trees along the way. Luckily, they were too tuckered out by the heat to make their typical demonic howls. Our guide was super knowledgeable about all of Caracol’s wildlife – in fact, it turned into a bit of a birding expedition of sorts. My personal favorite? The Montezuma oropendola, aka the most badass bird nature ever created. 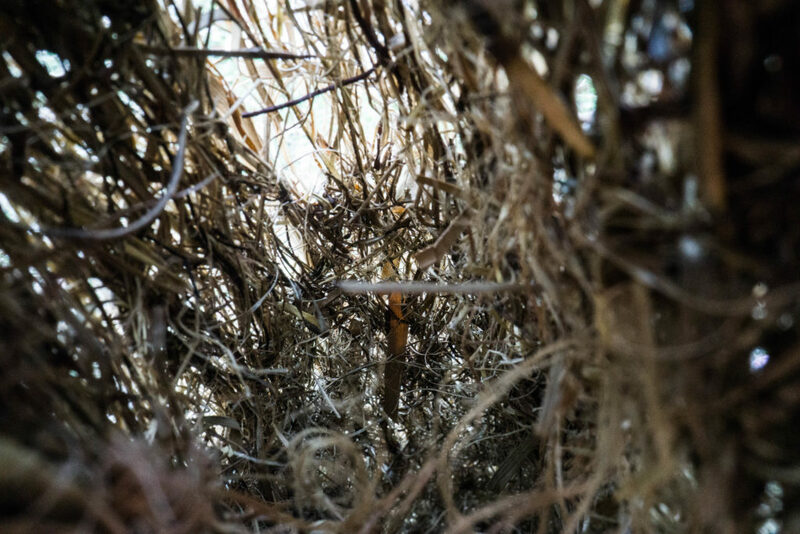 Basically, the female birds make the male birds build these elaborate hanging basket-type nests for her and her future eggs. If they’re not up to par, she’ll destroy them and refuse to mate with them. Slay, lady, slay. We should all be so fierce. 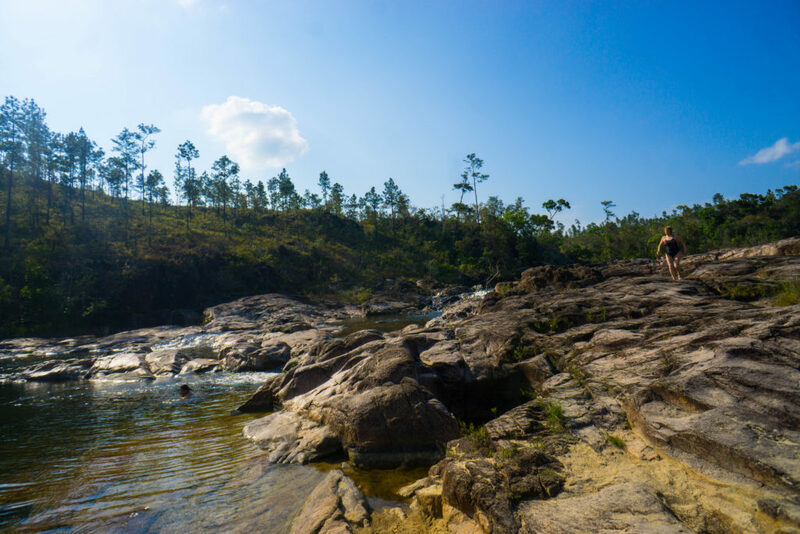 After touring the ruins and getting some serious life lessons from some birds, we ate our packed lunches, broke into the rum punch because duh, it’s Belize, and then made our way to the Rio On Pools – a set of natural pools located just outside of Caracol. And because our guide was a class act, he offered to give us some rum punch to go. Never one to be rude, I accepted. My clumsiness kept me from taking the best photos, as the slipperiness of the rocks all but ensured I’d send my beloved Sony A6000 plummeting to the bottom of a pool. 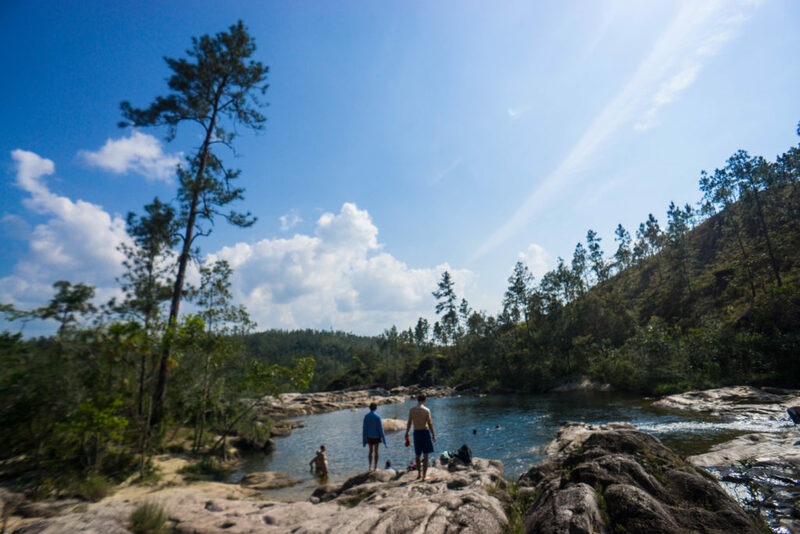 But in addition to a beautiful swimming hole with a view of forest and jungle, there was a natural whirlpool and waterslide of sorts, plus two waterfalls where you could make nature give you the world’s best shoulder massage. Don’t just take my word for it, though. Go and see it for yourself — you’ll be one of the only ones, I swear. Convinced? Check out tours and availability here. 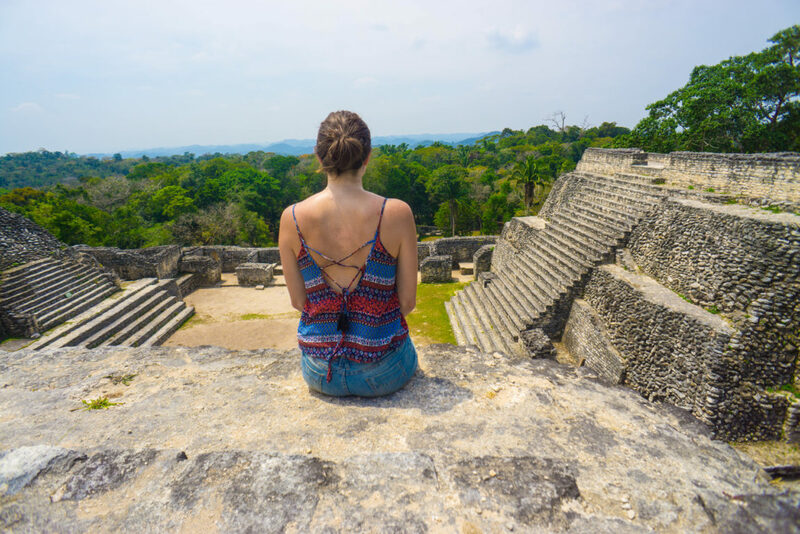 I’ve written an entire Belize packing list but if you just want the essentials, here’s what I think you shouldn’t forget! 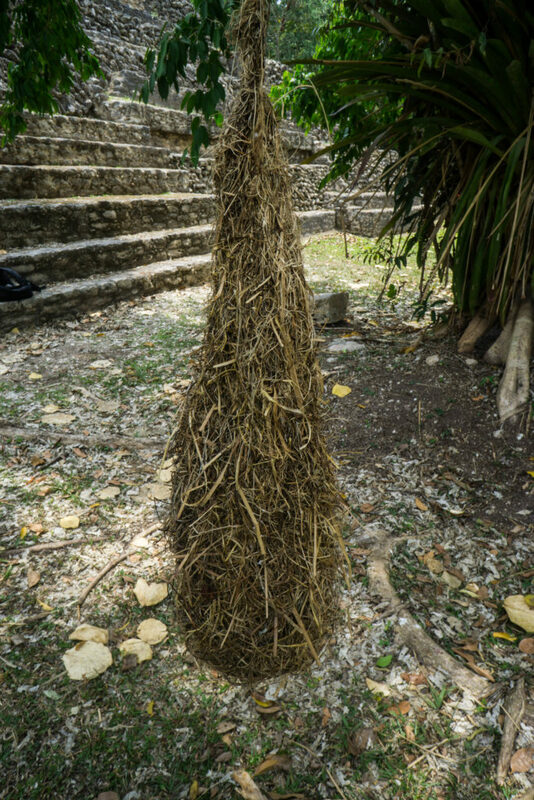 Mosquito repellent & after-care: Belize has a tropical climate with mosquitos year-round, particularly in the rainy season. Zika, dengue fever, malaria, and chikungunya have all been reported there. While there’s no reason to cancel your trip on account of it, protect yourself with mosquito repellent (as a back-up, I carry around a few mosquito repellent wipes with me in my purse in case I forget to apply spray before leaving or that I can apply after swimming). It’s also inevitable that you won’t leave without a few bites, so bring some after-bite relief too (this is hard to find in Belize). Full-size travel towel: This travel towel is full-size so it’s big enough to use as a beach towel, thin enough to pack up super small for your luggage, and it dries super quickly in Belize’s humid climate. 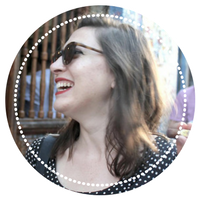 A guidebook: I use travel blogs a lot when I’m on the road but I also love having a guidebook to give me more specific, thoroughly researched information. Lonely Planet is my go-to guidebook and Lonely Planet Belize is no exception. I usually buy the Kindle version, but paper versions are also great fun to peruse. Reef-safe sunscreen: If you are planning to do any water activities, such as diving or snorkeling or even swimming, please use a reef-safe sunscreen like this one. The active ingredients in sunscreen are killing off coral in huge numbers. The Belize Barrier Reef is the second largest in the world and is under threat. 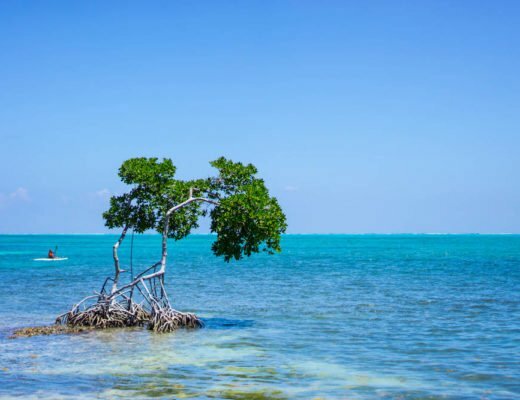 So please don’t use normal, chemical-laden sunscreen in Belize’s fragile ocean ecosystem! Filter water bottle or Steripen: Belize’s tap water is not drinkable anywhere in the country. I recommend traveling with a water bottle with a built-in filter that filters out nasty bacteria and viruses like this awesome LifeStraw bottle so you can reduce your plastic waste. Alternately, you can use a Steripen which sterilizes water using UV light. A great investment if you travel frequently and want to reduce your plastic bottle consumption! 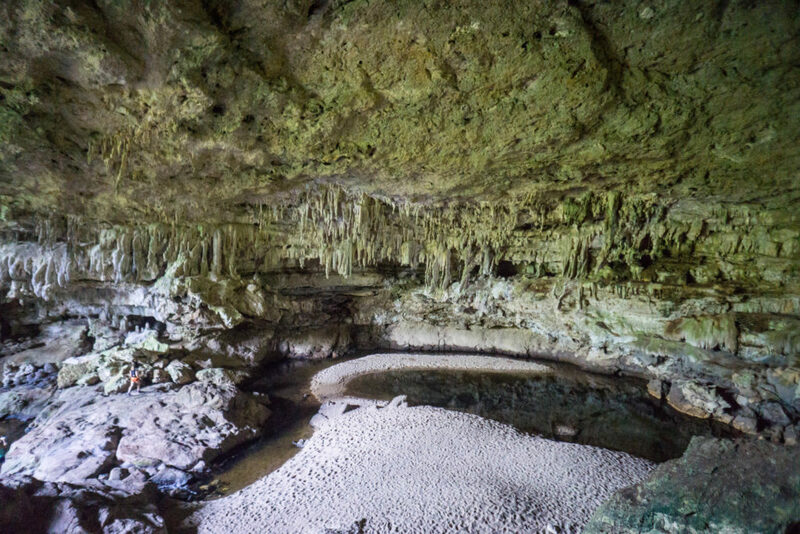 GoPro: If you go snorkeling or cave tubing or ziplining, you’re going to want a way to capture all of that action! A GoPro Hero 6 is currently the highest-quality option, but if you’re on a budget, the GoPro Session is also an excellent choice. Be aware that you need to buy protective casing if you want to take either of these cameras diving. They are only waterproof to 10 meters, and you’ll exceed that if you dive (most dives are at least 15 meters or so). Finally, don’t forget travel insurance! Whether you’re scuba diving, caving, ziplining through the jungle or just relaxing on the beach, don’t forget to purchase travel insurance! It’ll protect you in case of accident, injury, lost luggage, theft, or any other disaster that could befall your trip. I have been a paying customer of World Nomads for two years and recommend them highly. I’ve included a way to get a free quote below. Note: I was provided with a complimentary tour from Maya Walk. All opinions are entirely my own. 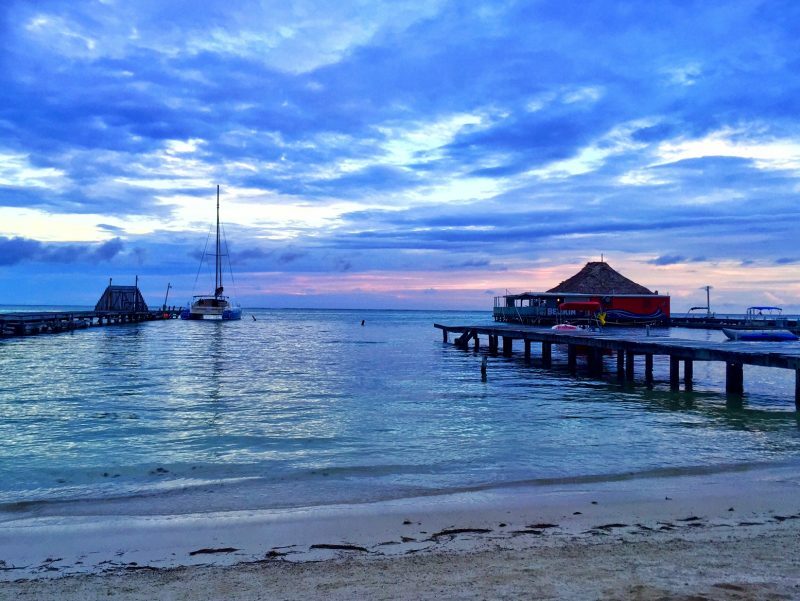 San Pedro or Caye Caulker: Which Belize Island is Right for You?